Praise for WDH's first environmental project continues to flood in! 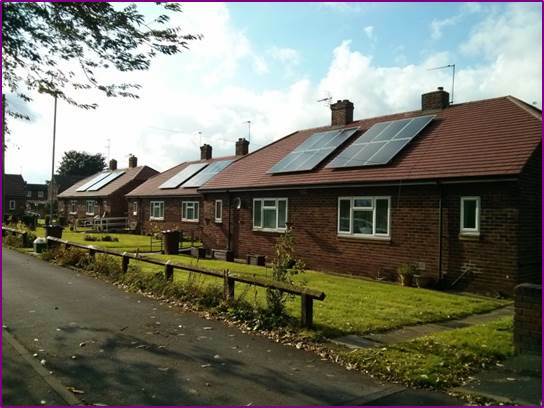 Leanne Hancock, a tenant from South Avenue in Pontefract is one of the first residents from The Avenues, Pontefract to have her front and rear gardens completely redesigned as part of WDH's first in house environmental project. This project will see WDH provide off street parking for some residents, new boundary walls, fencing and gates. The scheme will also create two new green spaces for local residents to enjoy and is due to be completed in summer 2017. 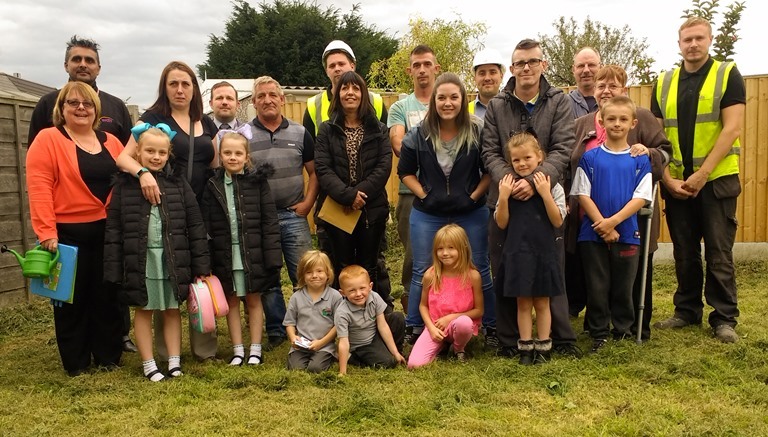 Leanne was full of praise for the work that has been completed on her garden, making her family feel much safer. 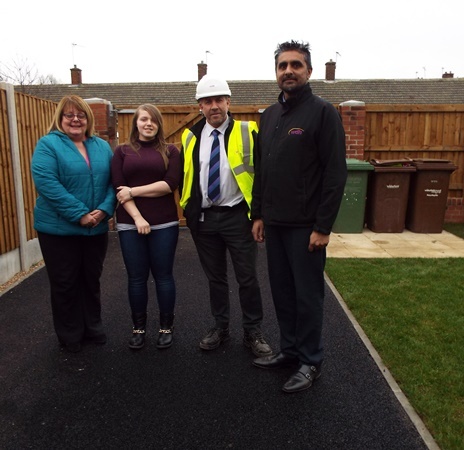 Leanne is one of the first residents to have secure off road parking completed as part of her new garden. Leanne was also keen to praise WDH and Pervez Khaliq, Project Officer, for keeping tenants informed and simplifying the whole induction process with the use of a photo story showing what will happen at each stage during the project. Pervez Khaliq, WDH's Project Officer Homebuilder added, “The smooth and seamless operation is down to providing high levels of customer care, excellent communication and remaining professional at all times. We understand the sensitivities of entering people’s gardens and carrying out changes and because of this our tenants are at the forefront of our minds. 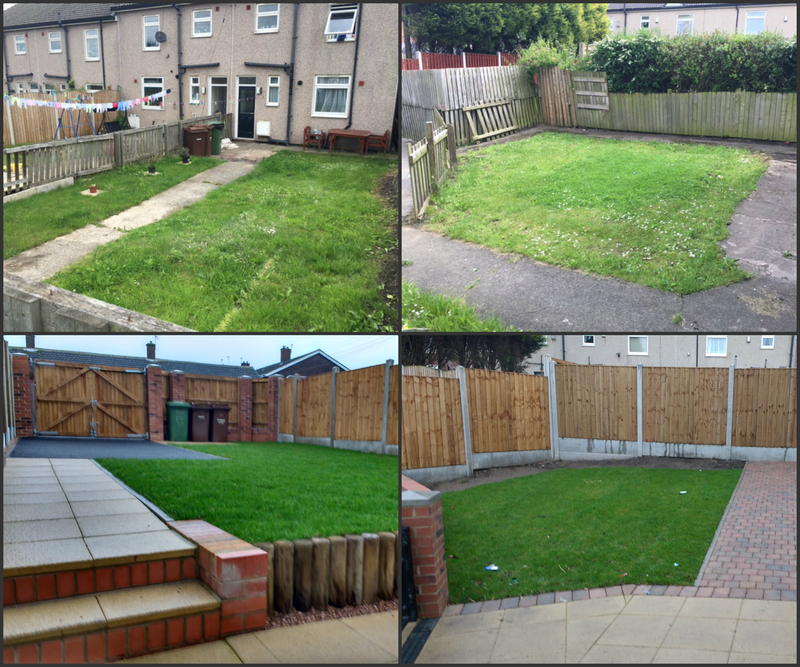 Below is a before and after photo showing the work completed in Leanne's garden.